The EP 6000 Series Positioner,mounted on a pneumatic actuator,moves the actuator by receiving DC4~20mA signals from a controller.Also,the function of detecting and feeding back the actuator displacement provides accurate position in response to DC4~20mA signals. The EP 6000 can be used with both single and double action on actuators. 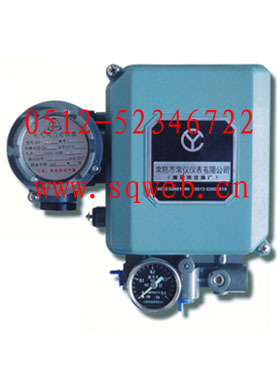 The intrinsically safe construction covers terminals and clil as one package.This,combined with the adoption of the specified zener barrier,makes the unit applicable in all hazardous gas location(including Class 0 zone)ranging from low(-40℃)to high(+60℃)temperature environment.